There’s a lot going on in town, in the state, and nationwide. The resistance /refusal movement is growing and we urge all interested parents, residents, and community members to continue to speak up and engage in conversations, on social media, wherever you are comfortable. Together we are making a difference! Also, if you haven’t seen this yet, SOSNJ has put out a great resource on PARCC and refusal. Please check their Facebook page and website for excellent information and advocacy. Note to readers: The information below was previously published via email /newsletter and on Facebook on 1/23/2015. We wanted to let you know about these important meetings and events coming up. Details below. The Montclair Board of Education will do a second reading and vote on the “Parental Refusal of Standardized Testing Policy,” introduced in December. Come lend your voice in support of this very important resolution Monday night. When: Monday Jan. 26, Public meeting begins at 7:30 pm, speakers sign-up sheet available at 6:30 pm. The Parental Refusal resolution says: “[S]ome parents may choose to have their children decline to take one or more of [the PARCCs]. Background: Montclair had a policy like this in place last year for NJASK. 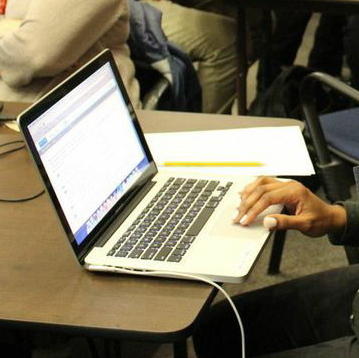 The PARCC, which will be given starting in early March, is a new, unproven test. Parents have asked for months for a humane policy for students whose parents choose against having their children take the test. Other school boards have passed parental refusal resolutions, and recently the president of the New Jersey State Board of Education acknowledged that no one can force children to take a standardized test. Montclair needs a consistent, clear policy to ensure that when the PARCC is administered in our schools, students who do not take it will be given productive, alternative activities in another room. Come and show your support for the proposed policy. Wednesday, Jan. 28: The Art and Poetry of Teaching – a fun evening of music, comedy, spoken word and poetry performed by our teachers! Ready to beat the end-of-January chill? If you haven’t reserved a spot yet, there’s still some space left at what promises to be a fun and inspiring event featuring performances by some of our talented teachers from Edgemont, Hillside, Montclair High School, Mount Hebron, Renaissance, and more! We’re celebrating creative teaching and creative teachers. We hope you can join us. When: Wednesday, Jan. 28, 7 to 9 p.m. There will be light refreshments and a cash bar. Audience members must be age 21 or over to attend. is a must-see movie that has been shown around the country including recent screenings all over New Jersey. Now you can see it in Montclair! Many of you have asked for it, and we got it. Come join us for a showing. When: Sunday, Feb. 8, 3 to 5 p.m. Admission: Free. Space is limited so please be sure to register at https://standardized.eventbrite.com. Have you tried a PARCC practice test yet? 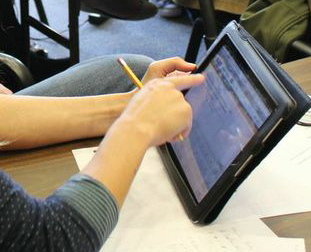 Parents who have taken a practice PARCC say that it is a powerful and informative experience. Here’s another local opportunity to Take the PARCC in a group setting and engage in discussion about high-stakes testing. A great follow-up to Standardized. Sponsored by the Essex County Education Association (ECEA). When: Tuesday, Feb. 10, 7 to 9 p.m. Remember, if you can’t make this Take the PARCC event, you can try a sample PARCC on your own at this site: http://www.parcconline.org/practice-tests and judge the test for yourself. Check out the Montclair Cares About Schools page on Facebook for information on these events and more. The turnout at the open testimony in Trenton, NJ yesterday was terrific! Here’s a round up of a few articles, blog posts, and written and videotaped testimony that we’ve collected. You may also see more on the Montclair Cares About Schools or Save Our Schools New Jersey Facebook pages or via Montclair Education Matters blog. Good afternoon, my name is Julie Borst. I am a resident of Allendale and the parent of a special needs student who is currently a sophomore in an out of district placement at Pascack Hills HS in Montvale. I am co-founder of Allendale Parents of Children with Special Needs; an organizer for both Save Our Schools-NJ and United Opt Out-NJ; a member of Ridgewood Cares About Schools; and a member of New Jersey BATs. My comments today are my own. I am here to discuss the impact of standardized testing on students with disabilities. With the recent announcement of the PARCC exams as a graduation requirement, NJDOE and NJBOE have a responsibility to our most vulnerable students to provide an alternate path to graduation. The choice between PARCC, SAT and ACT is not an actual choice for students who are not performing at or even near grade level. The continued mincing of words, “there is no ‘opt out’ available in NJ” is causing confusion for parents who are new to this process; and the statement is misleading. While the proper language is “refuse,” no parent should have to be faced with understanding that nuance. When a parent chooses to exercise their 14th Amendment rights, districts, NJDOE, and NJBOE should be supporting that decision, not having a play with words. I urge you all to consider the “appropriateness” of standardized testing for these students. Is it appropriate to subject a student who educationally operates at a 5th grade level to 10th grade test? If that question was asked about a 5th grade student being required to take a 10th grade test, everyone would laugh and say it’s unthinkable. It’s absurd to even consider it. So why is that same logic not applied to our most vulnerable students? effects of the disability…” It’s statements like this that make it impossible to take PARCC seriously. Now, let’s presume there is no way out for SWDs taking PARCC in order to get a diploma. Then what? As a parent, my goal is to get my daughter as prepared as possible to enter the adult world as a functioning member of society. No standardized test going to help her become that person. Especially if there is no way for her to earn a diploma, the bare minimum needed to obtain a job. There must be alternatives for PARCC and for graduation requirements. They must be offered in a timely and concise manner as this now affects this year’s juniors. Any alternatives, like portfolios, must be done in such a way as to not overtax teachers’ time. As of January 6, 2015, to the best of my knowledge, there has been no guidance for Special Services Teams on portfolios. We’re already four months into this school year and this is unacceptable. There must be guidance on these issues and soon. Lastly, here’s a list of 12 reasons to oppose the PARCC from SOSNJ and which was published just before Christmas. My biggest take away from the MCAS sponsored “Take the PARCC” event held Sunday, November 9 at the Bay Street firehouse is: not only can we refuse the tests on behalf of our children, we owe it to them to do so. I’ve always opposed standardized testing. As a product of the New York City school system, I learned early on there was very little connection between what I did in the classroom and my performance on the tests. Still, I wasn’t prepared for the PARCC sample test. There are several sample tests to choose from, in Math and Language Arts and in various grades. I’ve got a background in Language Arts, and am a mom of a third grader, so I chose to take the 3rd grade Language Arts sample test. Rigorous? Critical thinking? Deeper meaning? These buzz words are spouted endlessly by our own Central Office staff, but none of them actually apply to this test. The words that came to mind were: Multiple choice. Tedious. Text-heavy. Inappropriate. There’s no way my son, a good student, would be able to manage this test. His computer skills are fine for his age, but this test involves a lot of going back and forth between the questions and the text. It takes coordination, development, and focus that I don’t see in the average 8-year-old—or in my son. As to the skills being tested, since my son is still learning how to write a paragraph, writing an essay is beyond him at this point, let alone writing one under timed test conditions. The close reading technique they’re testing, largely denounced by most educators, simply demonstrates how well a child can: 1. Re-read a paragraph and 2. how patient he can be reading the questions. There were approximately 100 participants and after we completed our sample tests, there was a lively question and answer period. It became clear that people who tested on tablets (I used an iPad) had a much better testing experience with the interface than those using laptops. So, a child who already has difficulty using a mouse is double in trouble because he might suddenly get kicked off and could lose all his work. How frustrating! As I found the Language Arts test to be boring and developmentally inappropriate, many people felt similarly about the math questions. No one had anything positive to say. The Q & A was followed by several knowledgeable and impassioned speakers who testified (despite the Superintendent’s claims to the contrary), to how these tests are resulting in a narrowed, test prep curriculum and how it is harming our children. This post by John Wodnick first appeared on the new blog, Montclair Education Matters. I was especially moved by speaker, Latifah Jannah (the full text of her comments is below). I also share the sentiments in this letter to the editor from a Montclair resident and parent. We learned these tests are good for technology and testing companies but not for our children or their teachers. They’re unfairly tied to teacher evaluations, put unnecessary stress on our children, and potentially label good schools as failing. They will widen the achievement gap and beginning in 2016, are being tied to high school graduation, potentially causing graduation rates to plummet. Technically, we can’t “opt out” because we didn’t “opt in.” But we can refuse. As parents, it is our job to protect our children. They’re not wards of the state. When they walk through school doors, we don’t suddenly give up our parental rights. We must not abdicate our responsibility. If something isn’t good for them it is our job to protect them from it. Which is why I will be refusing the PARCC for my child. So can you. Kindergarten, 1st and 2nd graders to fit onto the lockstep staircase of Common Core and PARCC? some reason, your child is not learning. evaluates education systems worldwide by testing the skills and knowledge of 15 yr olds. Unhealthy competition-in Finland the focus is on providing a great school for every child, not a competition between schools and teachers based on test scores. Standardized testing-Finnish children earn top scores on PISA without taking standardized testing or test prep, taking one standardized test at the end of their education experience when they are 19-the focus is on individualized learning and children receive no grades in their 1st 5 years of schooling-it’s illegal to grade small children. Test based accountability-Finns don’t see the need to test everybody every year, but take samplings to measure student achievement. Obsession with the myth of teacher effectiveness-teachers in US are in competition with each other because we are told that our schools are populated with an overwhelming number of bad teachers. In Finland, teachers work collaboratively, and discussions are about school effectiveness rather than teacher effectiveness. Marketing school choice-private schools are illegal, parents choose from public schools, and there is a great focus on school equity. Charters and competition do not solve the problems of inequity of school funding and the social issue of income inequality, but instead, make those problems worse. He also noted a few things which can improve education, i.e., equity in school funding, focus on the health and well being of children, not cutting the arts, music, and physical education. Respect of teachers and teacher collaboration and empowerment, so that teaching remains a valued career of longevity, and not just a job to something else. rulebooks) and brain development, particularly in terms of social interaction. academic performance than those whose recess is less. curiosity about the world around him. eliminated as one of the tests on NJASK a few years ago. Langston Hughes, “Harlem” from Collected Poems. Copyright © 1994 by The Estate of Langston Hughes. Reprinted with the permission of Harold Ober Associates Incorporated. From The Collected Poems of Langston Hughes published by Alfred A. Knopf/Vintage. Copyright © 1994 by the Estate of Langston Hughes. Reprinted by permission of Harold Ober Associates Incorporated. All rights reserved. Thanks for reading and sharing with others.